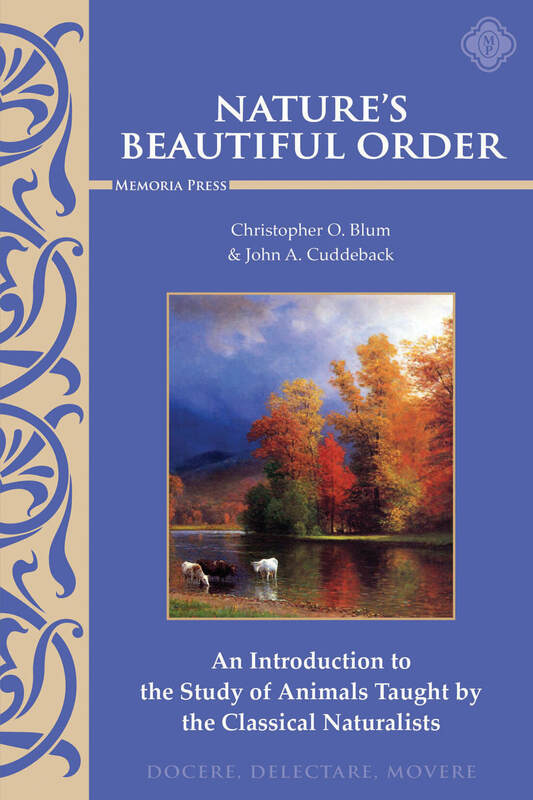 The Nature's Beautiful Order Text contains selections from classical naturalists, all the way back to Aristotle, and up to modern naturalists such as John James Audubon. The Nature's Beautiful Order Student Guide, Second Edition contains comprehension questions based upon Nature's Beautiful Order by Christopher O. Blum & John A. Cuddleback. 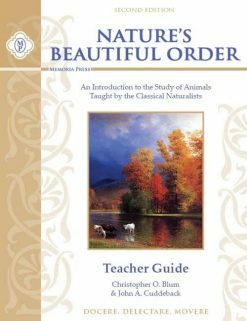 The Nature's Beautiful Order Teacher Guide, Second Edition contains the answers to the Nature's Beautiful Order Student Guide including the answers to comprehension questions and quizzes and tests. Nature’s Beautiful Order is intended for all students from the 6th through the 8th grades and will also be a fitting supplement for higher-level instruction in biology. In eighteen lessons, students are led through the animal kingdom from the invertebrate animals through the five great vertebrate classes to the culmination of the natural order, a consideration of man as the knowing animal and as a steward of Creation. In The Abolition of Man (1944), C. S. Lewis called for a “regenerate science” that would “not explain away” when it explained and “remember the whole” when it treated the parts. This introduction to natural history responds to Lewis’ call by instilling in the beginning student of biology a love for the beauty and intelligibility of the animal kingdom through the eyes of the classical naturalists. The writers whose works are presented here, including John James Audubon and Jean-Henri Fabre, were some of the greatest observational biologists of all time. They remain useful guides, for the advances in biological science that have happened since they wrote cannot invalidate our first-hand experience of organisms as unified living beings. 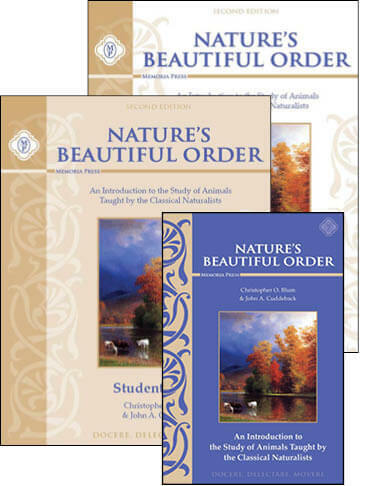 The Nature’s Beautiful Order set includes a text book, Student Guide and Teacher Guide. Christopher O. Blum (B.A. Biology / Ph.D. History & Philosophy of Science) is Professor of History & Philosophy at the Augustine Institute. John A. Cuddeback (Ph.D. Philosophy) is Professor of Philosophy at Christendom College. Both are long-time students of Aristotle and avid outdoorsmen, gardeners, and naturalists. This has a text, a workbook to answer questions and a teacher guide (answer book). It is packed with information. By all means, these science sets are tops. As I wrote in a few more reviews, my child reads the book and uses the teacher guide to help her answer the questions. She wants more.